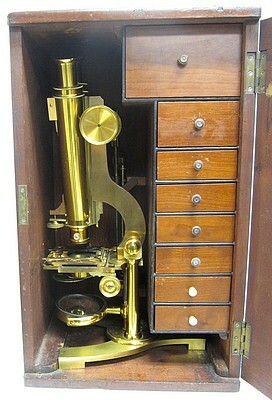 The microscope set up for use with polarized light. The polarizer can be rotated using a worm gear and the analyzer is also capable of rotation. 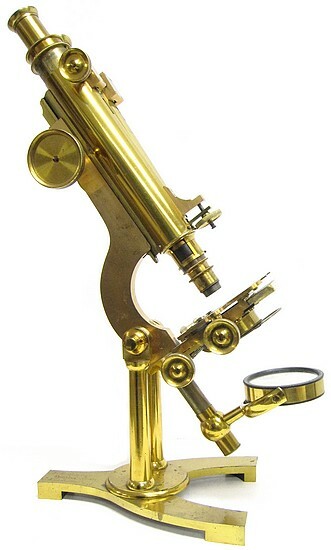 The microscope is constructed in brass with a bright lacquered surface finish and is about 18 inches tall when set up for use in the inclined position with the draw-tubes partially extended as shown in some of the photos. 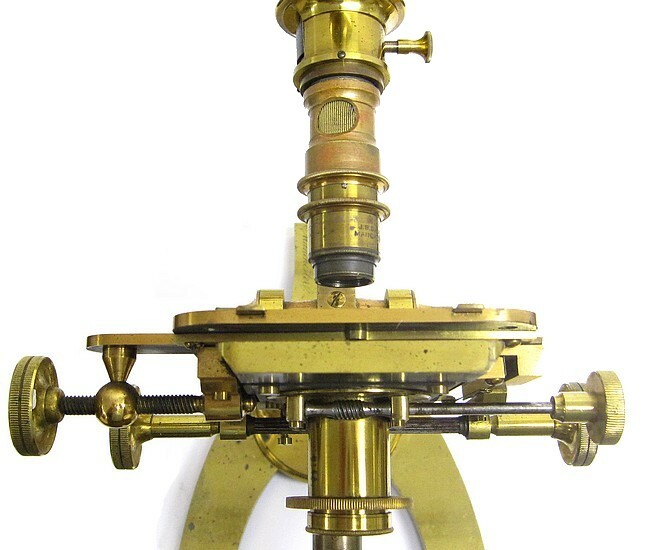 The main focus is by rack and pinion and the fine focus is by calibrated micrometer screw operating on the nosepiece. The interocular separation is adjusted by moving the draw-tubes by rack and pinion. 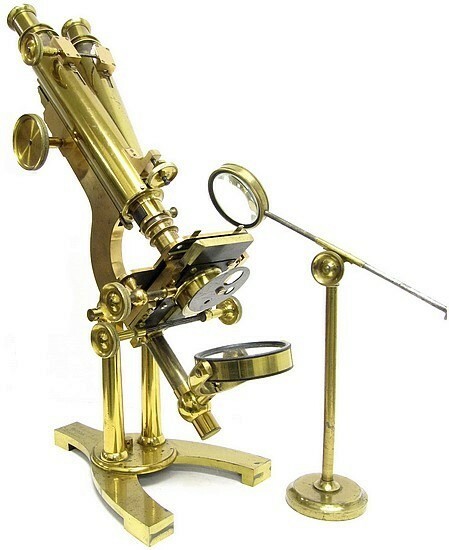 The microscope is equipped with a mechanical stage having orthogonal motions and an adjustable slide holder. 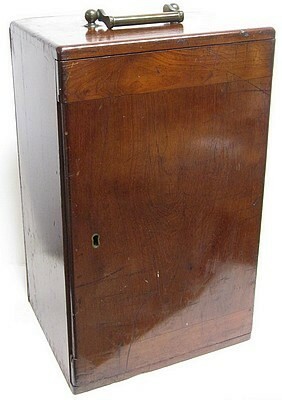 The instrument is supported by double pillars. 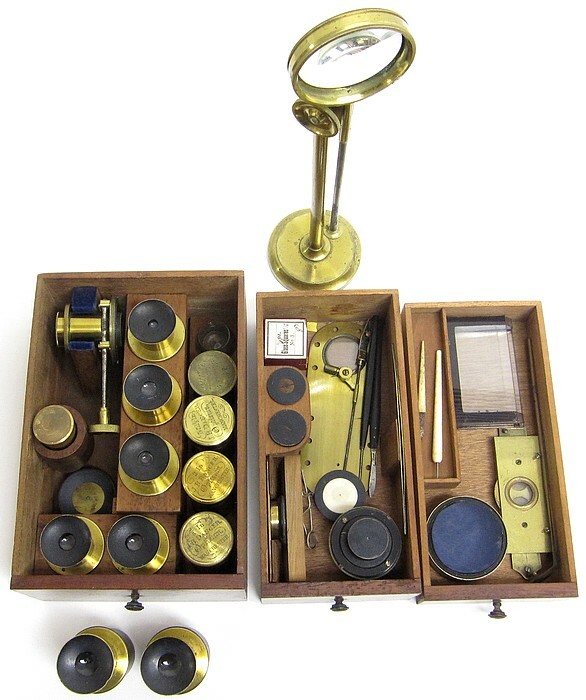 The substage consists of a cylindrical holder, which accommodates the various accessories. The mirror is double sided with plane and concave glasses. 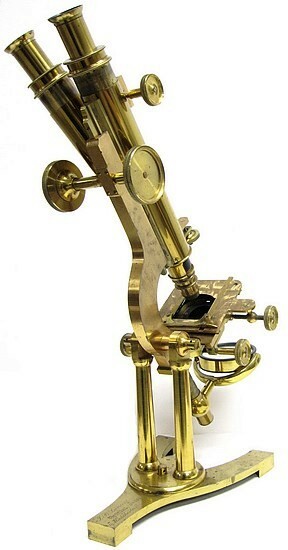 The accessories consist of two pairs of eyepieces labeled A and B, three single eyepieces labeled C, D, and E, three Dancer objectives (2/3, 2, and 3-inch), a 4-inch objective by Robinson & Sons, Dublin, a Nicol polarizing prism in a rotating mount, an analyzing prism in a rotating mount, frog plate, hand forceps, stage forceps, achromatic condenser with various stops, substage diaphragm wheel, glass trough, brass mounted selenite stage with rotation, live box, free standing bulls-eye condenser, dissection tools, and other odds and ends. 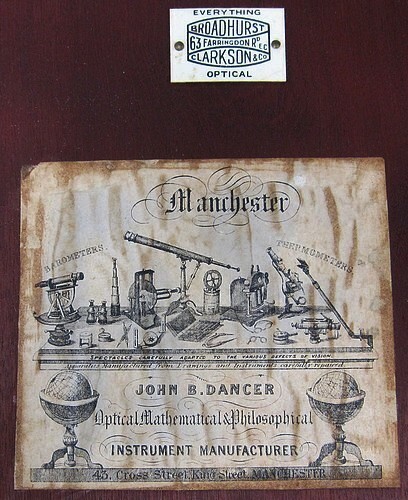 The other draws contain prepared microscope slides. 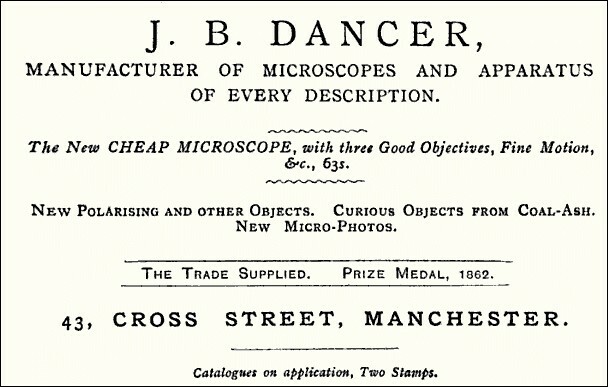 The inside door of the case bears Dancer's trade label. 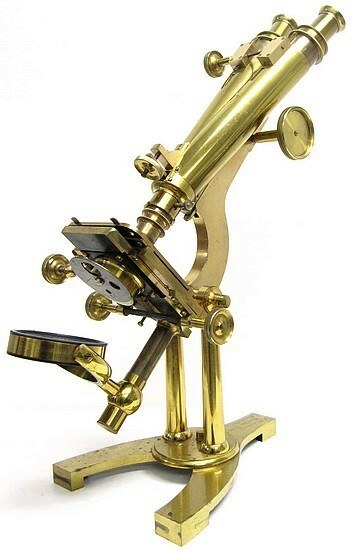 Apparently, in later years, the microscope was resold by Broadhurst & Clarkson.